slightly fitted wall & ceiling cladding for exterior and interior use on straight or curved surfaces. Liner Profile is manufactured out of high strength steel which has longitudinal fiutes that provide rigidity and strength along the length of the sheet while retaining full fexibility across the width. It can be used with the fiutes vertically or horizontally, however, SUPREME® Liner Profile is not intended as a roofing material. Incorporated in the year 2010, in Indore (Madhya Pradesh, India), we Supreme Colour Roofing & Decking Pvt. 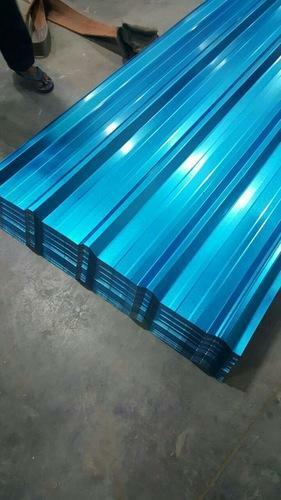 Ltd., are the distinguished Manufacturer and Supplier of premium grade Colour coated profile Sheet, Decking Sheet, Z & C Purlin, transparent sheets,Steel Louver, Roofing ventilators,Polycarbonate Roofing Product. Our offered products are manufactured using premium grade stainless steel, polycarbonate, plastic sheet and other such hard wearing material with the help of modular moulding machines. These products are widely used for covering greenhouses, skylight applications, industrial roofing, structures, siding and other such work. We provide these products to our clients in different variety of colours, dimensions and profile. Our offered products provide ultra strong roofing solution to various structures as well as residential and commercial buildings. These products are highly appreciated by our clients for their features like unbreakable, light weight, fire resistance, anti corrosive, UV resistance, ability to withstand harsh climatic condition and durability. We offer these products to our clients end in safe and reliable packaging options. We are offering all our products under the well-known brand name "Supreme".